Protect your spa with one of our quality hot tub covers. There are several benefits involved with hot tub covers that make them a vital accessory for your hot tub. Here at Cayman Pool & Spa, we are happy to help you with selecting the proper one for your hot tub so it fits well and provides the protection and other benefits you deserve. By keeping your hot tub covered, you keep it protected from the weather and avoid having dirt and debris get into it. This will reduce cleaning and keep you from ending up with a clogged filter. Hot tub covers also minimize chemical usage, as sunlight isn’t leaching them out of the water quickly. Another benefit is that you’ll be able to keep the hot tub heated to your desired temperature more efficiently, thereby lowering your utility cost. While all these benefits are financial in nature – reduced energy, operational costs, and repairs – the more vital benefit is safety for children and pets. Both can let curiosity get the better of them and end up in falling headfirst into your hot tub if unsupervised. This tragic result can easily be avoided with hot tub covers. However, this benefit is only possible if you have a quality cover that won’t fail under the weight of the child or pet. When you look at our hot tub covers, you’ll see they are the quality you need to avoid that scenario. We are here to answer any questions you have about hot tub covers so you can be confident your final selection will suit your needs. 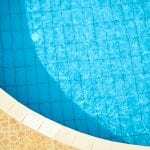 If you would like to know more about the covers suitable for the hot tub at your Cornelius, North Carolina home, call or drop by to see us. At Cayman Pool & Spa, we sell hot tub covers to residents of Mooresville, Concord, Cornelius, Davidson, Harrisburg, Huntersville, Kannapolis, Statesville, Troutman, and the Lake Norman area of North Carolina.